While digging through VMware’s Knowledge Base for articles for a future blog post I ran across this and couldn’t wait to share. This has the most brilliant diagram of the various memory management features and their instrumentation in the various interfaces available to vSphere admins. VMware KB: VMware vSphere 5 Memory Management and Monitoring diagram. 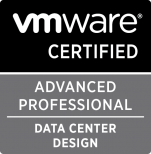 ← Here is a hidden gem from VMware!